The Nar Phu valleys, regions of ethnically-Tibetan inhabitants, grace us with similarly towering snow-peaks and unique culture. The trek up to Nar and Phu combines high peaks and passes, glaciers, remote villages, narrow canyons, lovely forests, amazing rock formations, yaks, gompas and unique Himalayan cultures. Two long days of walking from the border of Tibet, this region was first explored by Tilman in the 1950s. Closed to trekkers until late 2002, very few westerners have explored these virtually untouched villages or climbed the many 7000m peaks surrounding it. Along with spending plenty of time at these colorful and timeless villages, we explore the high alpine valleys above Phu (including Himlung Base Camp for those who want to), and then from Nar cross the Kang La to Ngawal on the upper Pisang route leading back into the Annapurna circuit. Accommodation: 4 Nights in Kathmandu, 2 Nights in Pokhara, 19 Nights in trekking lodge. The trail from Jagat descends until it reaches the river and then continues through a lush forest. Further ascent leads to sharp-edged cliff facing the riverbank. En route, Chyamje comes into picture amidst the glorious backdrop of towering Annapurna mountain ranges. After crossing a suspension bridge, we climb steeply towards the slippery and physically challenging path to Sattale. On treading along a succession of rock-strewn trails, we descend to a grassy riverbank that leads to Tal. As we walk away from Tal, the path becomes rugged and winding. Then we approach steep forested village of Karte. Meandering along the waterfalls and cliffs, we finally reach Dharapani after crossing a suspension bridge Overnight stay at Camp. A steep climb up the valley along a small, scenic river brings us finally to high pastures on a 3,200m plateau. We pass by the scenic kharka of Meta, 3560m, a non-permanent winter settlement of Nar, where we will probably share the trail with a few yaks! This morning is one of the loveliest walks in the Himalayas. The landscape is similar to the Sierra Nevada; white rocks, low shrub and juniper, scattered evergreens, delicate brick-red and orange leafed bushes, crumbling shelves of flat slate, white, sandy trails and knarled trees. The mountains around us are utterly spectacular, and the Phu Kosi shadows the trail far below. An hour past Meta, Junam is the second semi-permanent settlement, one where "khampas" from Tibet sometimes sheltered. Above the kharka to the right looms a massive glacier, which falls jaggedly down to the high pastures above us. Dropping steeply down to the river, we trek for a while along the river bank and past the "submarine" rock, passing some small possible campsites along the way. Today, we really start to see some of the unique, colorful chortens for which Nar and Phu are justly famous. We have to rock-hop carefully across a small glacial stream before reaching a larger one with a bridge only half covered with large slabs of slate. Some large steps do the trick! Another hour and a half of trekking through scenic canyonlands and gorges, and the "leaning tower of Pisa" monolith guards the steep trail up to the Phu gate, called Pupigyal Kwe. Having spent quite a few days getting to Phu, we will spend an extra day in the area to enjoy it, meet the local Phu residents and do some exploring up the wide valley systems above us. Tibet is two long days away, so a bit far for a visit, but we might walk up the valley to the summer grazing settlement, or "kharka" at Ngoru, a three hour's walk past the gompa. Phu itself is an incredibly interesting village, and a day is well spent sitting with the villagers as they spin their yak and sheep wool and chat, pound mustard seeds into a paste for oil, or involve themselves in the countless activities that take up a day in Tibetan villages. For photographers, the light is spectacular, and the skies a deep blue, and we may even see some blue sheep on the surrounding hillsides. Another classic Himalayan trekking day, as we trek down to the old bridge spanning a deep, contoured and narrow gorge (cameras out for this crossing! ), and then all the way back up again. It's a good thing the scenery is so stunning ... Below us sit Gyalbu Kumbu, built in 1650, and Satte gompa, both empty. The Kang La is not a difficult pass in GOOD conditions, but it can be a long and difficult day if there is snow on the pass or the altitude is taking it's toll. The Kang La, at 5240m, is an absolutely spectacular pass looking over Annapurna II, Gangapurna, Tilicho peak, the peaks surrounding Tilicho and the airport at Thongde. The trail down initially is steep; scree jumping seems to be the easiest option for the descent. After resting sore knees and shaky legs, we lunch on a plateau overlooking the peaks, and then continue to contour to the left towards Ngawal. Cultivated fields appear on both sides of the path and off to the right, below a craggy mountain, we can see the village of Braga with its splendid monastery. Large chortens and mani walls abound and the tall peaks of the Himalaya spread out before us - Annapurna II, Annapurna III, Annapurna IV, Gangapurna [7455m] and, to the rear, Tilicho Peak [7134m]. After a short steep climb we reach Manang, which is a surprisingly large village for this remote mountain region. We camp here for the night, amidst the fluttering prayer flags. . Overnight stay at guesthouse with breakfast, lunch and dinner included with Tea and Coffee. Trek from Manang to Yak Kharka (4050m.) and it takes about three and half hours. Now the trail ascends gently all the way to Yak Kharka passing through the Gunsang (3960m.) village. En route, you can see panoramic views all the day.n peaks or by simply take in the panoramic beauty of the Annapurna mountain range and the Manang Valley . Overnight stay at guesthouse with breakfast, lunch and dinner included with Tea and Coffee. Trek from Yak Kharka to Thorong Phedi (4550m.) which takes about 3 and half hours. Leaving Yak Kharka, you climb gradually to a ridge before descending to the headwaters of the Marsyangdi and crossing via a covered wooden bridge. After a short ascent up the mountain path on the right bank, you follow a narrow trail across an unstable spree slope and then descend to Thorung Phedi. Overnight stay at guesthouse with breakfast, lunch and dinner included with Tea and Coffee. This is one of the most challenging trek days as we will leave very early in the morning (before sunrise) to cross the Thorong La pass (5,416m/17,819ft) by noon, and then trek down to Muktinath. Muktinath, a symbol of religious acceptance, is sacred to Hindus and Buddhists alike, for they worship their God by a different name in the same temple. We stay overnight at lodge in Muktinath. Overnight stay at guesthouse with breakfast, lunch and dinner included with Tea and Coffee. Trek from Muktinath to Jomsom (2670 m.) and it takes about five hours. You now begin the trek descent down the dramatic Kali Gandaki Gorge, initially through arid country in the same geographical and climatic zone as Tibet. After passing through Jharkot and Khingar villages with typical Tibetan architecture, you follow path steeply down to Kagbeni, a primitive village famous for Tibetan architectures. People living there follow the Tibetan life style and culture. There is situated a monastery said to belong to 15th Century. 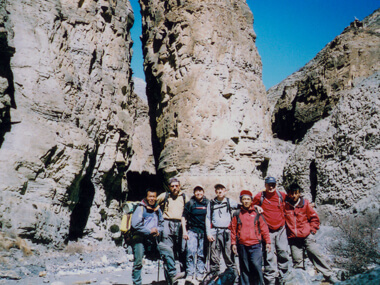 Kagbeni is the border for Upper Mustang. Your trail passes through the bank of Kali Gandaki passing through the Eklebhatti. The trail is windy after late morning. The river flows through broader course. Jomsom is the headquarter of Mustang and it is split into two towns and between these two towns passes through Kali Gandaki river. There is access of internet and banking facilities. From Jomsom, you can enjoy the magnificent views of Nilgiri and Tilicho peak. Overnight stay at guesthouse with breakfast, lunch and dinner included with Tea and Coffee. Fly from Jomsom to Pokhara which takes about 30 minutes. The flights are available during the morning time. The strong breeze blows during the after and frequent change of the weather prevent the flight being landed and taken off in the afternoon. During the flights in morning, the sky looks very clear which makes you able to enjoy the splendid views of different mountain peaks. . Overnight stay at guesthouse with breakfast, Tea and Coffee. Your sightseeing trip will start at 9AM in the morning after breakfast. Places we visit are Fewa Lake , Devis water fall, Museum, Tibetan refugee settlement and Gupteshower cave. You will have relaxing afternoon. Overnight stay at hotel with breakfast included. .
Overnight stay at the hotel in Kathmandu . If you are interested in continuing on to Chitwan Jungle Safari, River Rafting Adventure or any other tours you can start today. After breakfast, our city guide reaches in Hotel with Vehicles, then we drive to Bhaktapur Durbar Square . Bhaktapur is one of the oldest cities in Kathmandu valley. It is well known as Living Museum . Old brick paved enclave of old Royal palace, Nyathapola Temple , Datatriya temple, exquisite artwork offers a picture of the grandeur of medieval Nepal . And Patan is located 7 km away from Kathmandu , this city has many 15th to 17th century, Hindu and Buddhist, monuments built during the Malla dynasty. The most important area with many monuments is the Patan Durbar Square . (Culture program) Over night stay at Hotel.